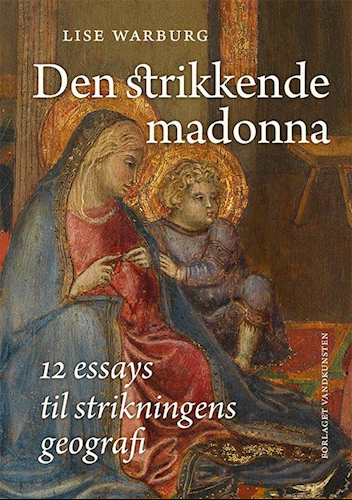 Lise Warburg’s book, “Den strikkende madonna: 12 essays til strikningens geografi”, has been published by Vandkunsten. This collection of 12 essays discusses select aspects of the cultural history of knitting using evidence drawn from many disciplines, including archaeology, ethnography and language research, enlightened and enlivened by Lise’s depth of understanding and breadth of knowledge. This edition is in Danish but we hope public interest may encourage the publishers to issue an English edition as it deserves a wider audience. Visit Vandkunsten’s website for more information and a lovely photo of the author https://www.forlagetvandkunsten.dk/112372/.